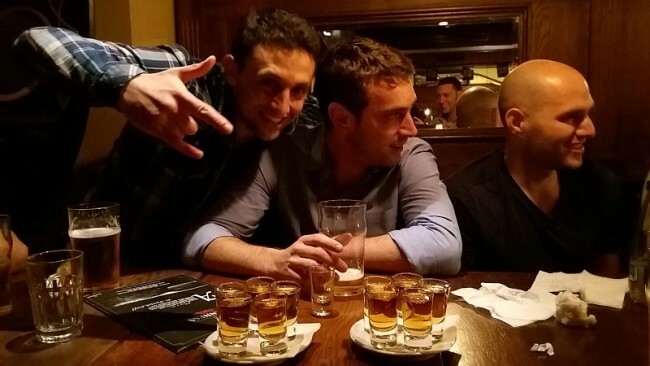 In case you hadn’t already noticed, Bucharest is currently emerging as the latest hot spot for both group travellers and international Stag parties. 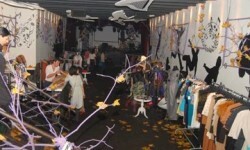 And according to leading Stag and Hen do organiser in Bucharest, Eventhuse, it’s easy to see why. 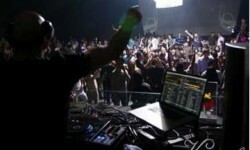 Here the European bachelor party experts lay out the best of Bucharest for stags and groups. Recently named as one of the coolest cities in Europe, Bucharest is setting a new benchmark for hip alternative urban counter culture. And with an endless selection of incredible nightlife options, a wealth of group-friendly activities and amazing value-for-money, this little-known, off the beaten track Eastern European gem won’t remain a hidden secret forever. The capital of Romania offers excellent cheap and comfortable accommodation options for large and small groups looking to stay right in the centre of town, and with the extremely low prices available for entertainment, food, drinks and transport, even groups and stag parties on the tightest of budgets will find plenty to see and do in this vibrant and eclectic hub. Go on an Underground Tour: While in Bucharest, groups looking to uncover a more alternative and seductive side of the city should opt for an Underground Tour which will take them on a journey to discover the lesser known secrets of a city known for its counter culture scene. The tour will show groups the eclectic street art and social, cultural and political sites that don’t get covered in the average guide book. Enjoy a Traditional Romanian Meal: Romanian cuisine is famously hot, spicy, meaty and rich, making it ideal for a hearty evening meal with plenty of local wine or beer. Groups can book a long table at a traditional Romanian restaurant for a real taste of authentic national delicacies. You’ll be pleasantly surprised by the long list of delicious treats this country has in store for you. Laze in the Sun at a local park: Bucharest has lots of great outdoor retreats and green areas such as Cismigiu Garden, the Botanical Garden and Herastrau Park, where locals hang out with friends on hot summer’s days. A great way for groups and stag parties to really get a genuine feel for local life in Bucharest is to spend an afternoon lazing in the sun in a park with an ice-box full of cold beers and snack. Learn about Romania at a Museum: Bucharest has some excellent museums and art galleries for group travellers of all ages, as well as for stag groups on a culture hunt. The National History Museum, The Village Museum and The Museum of the Romanian Peasant are some of the most popular in the capital and they all make for an interesting day of learning all about Romania’s rich and diverse history. Mingle with the coolest locals on hidden downtown terraces: Take a walk on the quiet streets in the centre of Bucharest and discover the gardens where locals meet and relax over a cup of flavoured tea or a cold fruity cocktail, enjoying chill music and a greener landscape. There is also room for you to check some business deadlines if you need to, or post your latest photos took in Bucharest, as most of the places are offering free WI-FI services. Experience the night life on a pub crawl: The nightlife scene in Bucharest really is as experimental, creative and as wild as it gets. But rather than trying to find the cool places to go out by yourselves, book your group or stag party in for a pub crawl with a local party expert, who will show you the ropes. With beer as cheap as it is in Bucharest, you’ll be able to visit multiple bars and clubs around the hip Lipscani district with drinks in every spot. Visit Count Dracula’s Castle in Transylvania: Groups and stag parties with a penchant for history and culture will be blown away by a tour around Dracula Castle where Bram Stoker set his legendary novel. This atmospheric old castle on a cliff in Transylvania is only an hour away from Bucharest and a tour includes a visit to the area as well as a traditional Romanian meal! What more could you want! 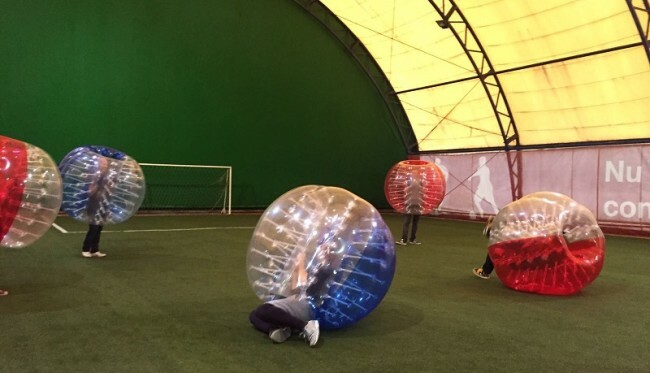 Try your hand at Bubble Football: This latest trend to take Bucharest by storm is a perfect activity for stag groups and group travellers. Just split into two teams, don your giant inflatable balloons, and then proceed to try and play football for an hour. You’ll be laughing your head off in no time as you stumble around the pitch, topple over and generally look silly – but it’s hugely fun and incredibly safe so there’s really nothing to lose. Mix culture with pleasure with a spot of Wine Tasting: Little do most people know, but Romania has a burgeoning wine scene to be reckoned with. And you can sample some of the country’s best grapes for yourself on a group wine tour where you will get to taste some of the most well-known varieties such as Fetească Albă, Fetească Regală, Riesling, Aligoté, Sauvignon, Muscat, Pinot Gris, Chardonnay, Tămâioasă Românească, Grasă de Cotnari, Galbenă de Odobești, Merlot, Cabernet Sauvignon, Băbească Neagră, Fetească Neagră, Pinot Noir, Busuioacă de Bohotin. Test your group skills at Escape the Room: You must have been living under a rock if you haven’t already heard about the Escape Room Experience, but for those of you who don’t know, the activity sees groups working together to solve clues and escape. It is a great exercise for groups on holiday together and stag parties looking to indulge in some fun and challenging team-building.